As I look back, Calendars came to our house as new year gifts from shops, my father’s office, and his colleagues. 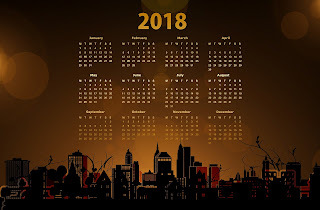 The calendars were not only about days, months and years, it also had the great designs, beautiful sceneries, list of festival holidays of that year and great pictures of Gods and Goddesses. My parents used to mark important days on the calendars in the ways we save the dates on our mobile phones as mobile phone was not a thing those days. Obviously, the important occasions marked on the calendar used to be some friends’ or relatives’ birthday & marriage anniversaries or marriage, but the list also included the days on which newspapers, milk, etc not got delivered to our house, so that they (my parents) can have some discussions on monthly bills with the people responsible for the deliveries.